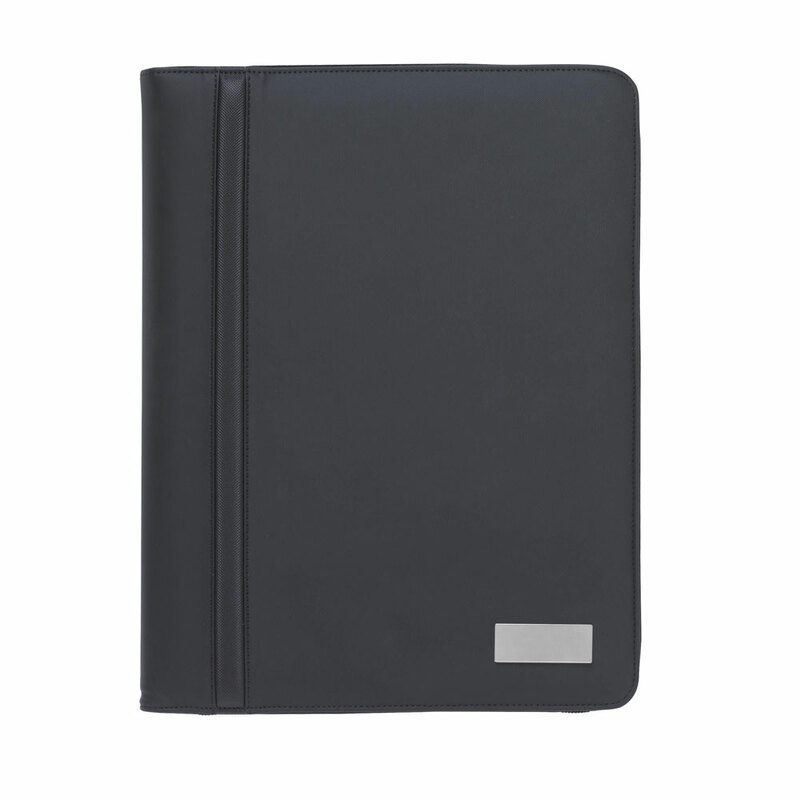 Exclusive and practical tablet/writing case in an A4 format constructed from a sophisticated synthetic material with PU leather look aspects. 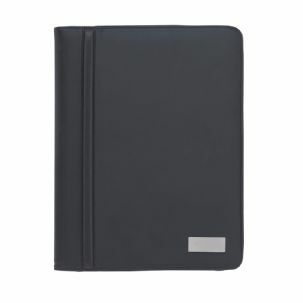 Durable organiser - Opens via a strong metallic zip, contains a strapped compartment perfect for keeping you iPad in place. 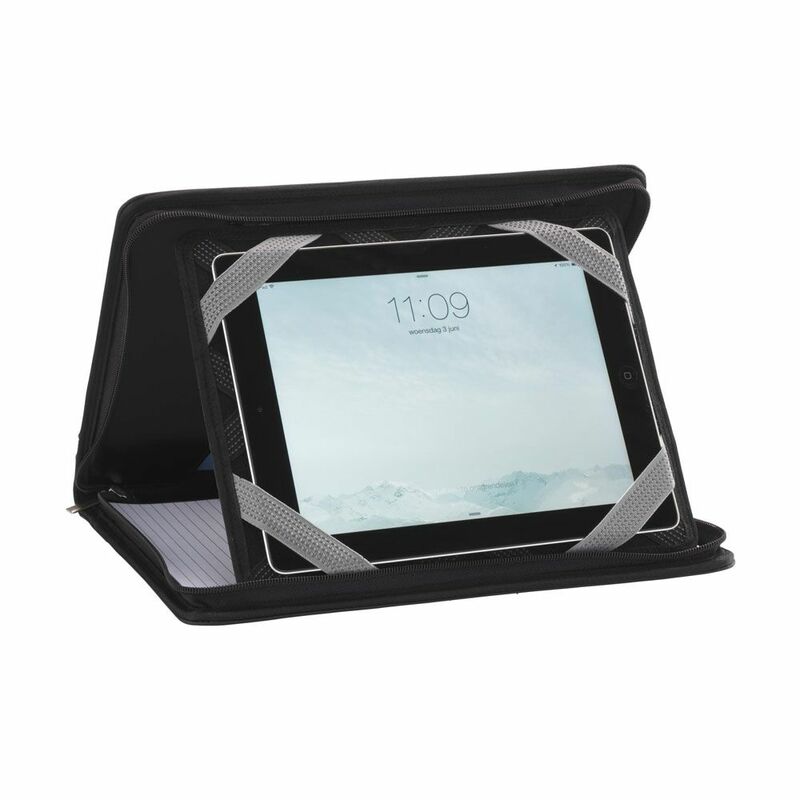 The straps form diagonal crosshatches and have rubber integrated into them for grip and security. 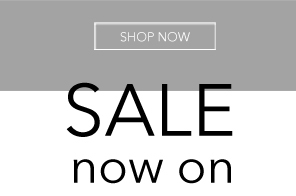 Practical with various storage solutions; pockets for business cards, money receipts etc. 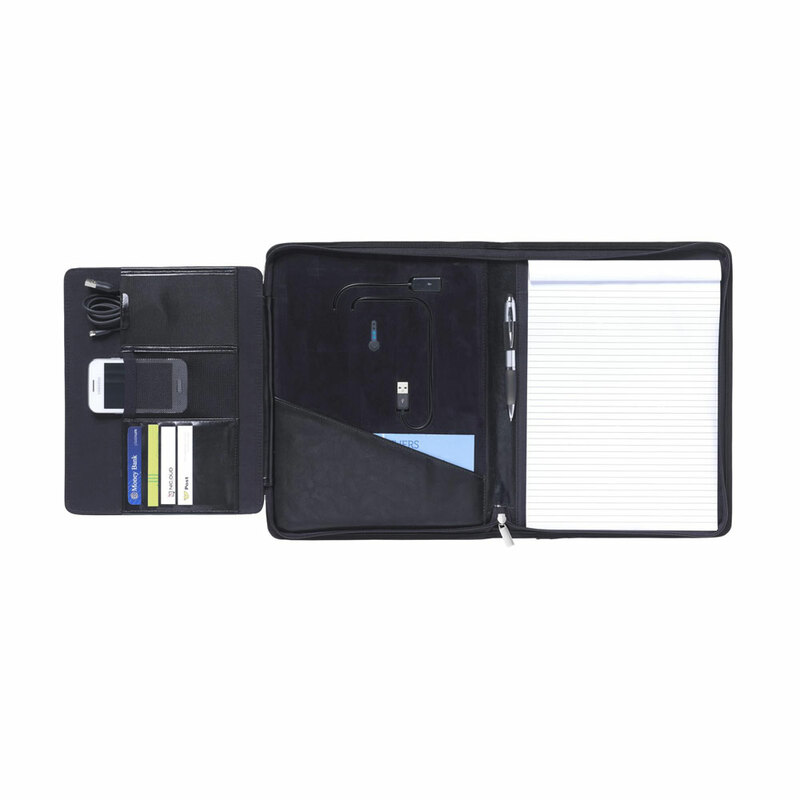 Mesh elasticated compartments ideal for storing Phone/iPod/Recorders/Pagers. 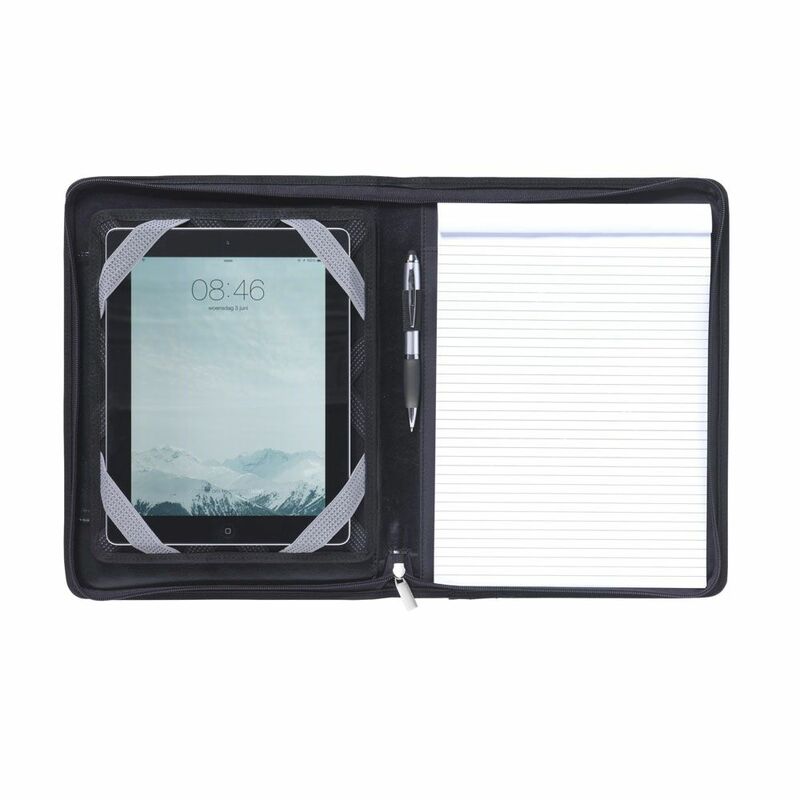 Comes with stationary, a 20 page lined notepad and a luxury touchscreen pen; the pen twists to open and has a rubber pad at the top for use on screens, ideal for phones and iPads.